Responsible for public safety (including police), travel, immigration, port security, and criminal investigation. 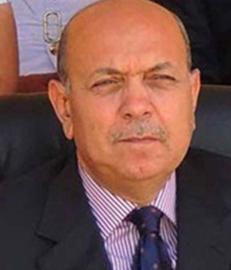 Despite being a member of the “old guard” in the Ministry of the Interior, Osama al-Sagheer emerged from the shakeup of the security services in August 2012 in an enhanced position as Assistant Interior Minister for Cairo Security. Upon Ahmed Helmy’s retirement from the post (which was required due to age limits), Sagheer was promoted to Deputy Interior Minister for Security. The move was praised in the press, with reports lauding his “dedication to his work” and high moral character. Sagheer played a role in anti-terror operations during Morsi’s term in office, taking part in the arrest of the Nasr City terror cell in October 2012. Since Morsi’s ouster, Sagheer was involved in planning an operation that resulted in the capture of an infamous criminal from Sinai who was operating in Cairo in 2013. Sagheer supervised a December 2013 campaign against 32 “elements” wanted by security forces; Egyptian Homeland Security participated in those raids alongside Interior Ministry forces. In April 2014, Sagheer was reportedly consulted by the prosecutor-general during investigations into recently-arrested terror groups.